Seriously–I’m not looking for the ‘churchy’ answer here, I’m really asking you to consider: Why are YOU thankful this year? It seems to me that our culture has become a cesspool of negativity, and that it is very popular (even encouraged) to complain. Some can complain about the election…others complain about the reaction to the election! Some complain about their jobs, and others about their lack of a job. Some complain about their finances, their health, their relationship status, their schoolwork…the list could go on! So, let me ask again: What do YOU have to be thankful for this year? We’d remember that He is the Source of all blessings, and we’d thank Him first. We’d remember that the biggest and best blessing ever: The promise of Eternal LIFE comes from His loving heart to us by faith in Jesus. We’d remember that we are sinners, not ‘deserving’ that Life…but we’d sure be thankful for His grace toward us! We’d remember again His many general blessings–especially in this nation–the freedom to worship Him and live our lives according to His Word; the beauty of His creation, along with the blessings to see, hear, smell and experience it. We’d remember the blessing of family–our ‘family of origin’ and our current family. We’d be thankful for the memories, and thankful for the opportunity to love each other still. We’d remember our relationships in general, and be thankful that God put those people into our lives. We’d become aware, again, of our physical bodies, and thankful for the abilities He has given us to do whatever He calls us to do. We’d be thankful for His provision–through our ability to earn a living, along with the generosity of others. If we continued to spend time with God, asking Him to help us be aware of our blessings, we’d be thankful, again, for our country. To be sure, a country with problems, a country with some regrettable history, but a country where freedom, liberty and the power of the individual to choose their life’s direction is still true. Again…the list could go on almost forever! So here’s the choice we have: Will we give in to the power of negativity, complaining, gossip, division and ultimately, hate? Or, will we allow the power of the Holy Spirit to fill us with thankfulness, appreciation, gratitude and ultimately, Love? One of those roads leads to destruction and death–both individually, and as a nation. The other leads to blessing and life. I choose life! I choose thankfulness! I choose gratitude. 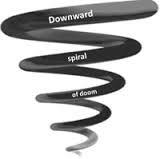 Don’t get ‘sucked in’ to the negative vortex and ‘downward spiral’ of complaining. Instead, lead people around you upward, toward blessing, life and generosity of spirit! You and I can be some of those who realize that we need to get off the ‘negativity train’ and start to be a positive force of blessing in this world. We can do that consistently if we start with gratitude based on the blessing of the Lord! I hope and pray that you have a very Happy and Blessed Thanksgiving, and that you see the Source of those blessings–God–every day! Our work or school, for example: WHY do you do it? Is it just to get a paycheck or a report card? If so, what is the eventual goal–a car? A house? A good job? IF you have motivation, you can go places! 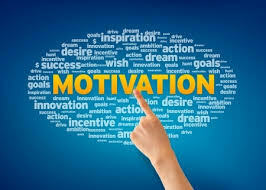 If you don’t have motivation–a ‘Why’–then you’ll never do your ‘What’ very well at all. You’ll simply go through the motions, and the end product–the job you do, the grades you get, etc.–will reflect that. For Christ followers, there is a WHY inherent in every What. The ‘What’ is that which God calls us to do–through His Word (the Bible), and through the leading of the Holy Spirit. However, if all we know or focus on is the ‘What’–obeying, forgiving, sharing, etc.–without knowing the ‘Why’, then we’ll simply be ‘going through the motions’. In that case, we’ll look very ‘religious’, but not very ‘Alive’. Why is it that God calls us to do these things? Why does He call us to pray to Him, to read His Word, to serve others, to be generous? Why? WHY does He want us to experience ‘Life to the full’? Why, then, should we obey, pray, serve, give, etc? The question is, WHY does it matter? It matters because God knows us, God loves us, and God wants the best for us. But it also ‘matters’, because He is GOD, and He deserves our worship, our obedience, our service, our praise. He is worthy to receive all of that–even more than we understand. He is perfect, holy, loving, and gracious. He is righteous, powerful, sovereign and wise. …consequently, that absolute Best, most sensible, most logical thing we can do is to worship and serve our Creator. It also happens to have the added bonus of being the most fulfilling thing we can do. God has ‘wired’ us so that we are most fulfilled as we turn to Him in faith, and allow Him to fill and guide us. This is helpful, because we are in desperate need of Him. He loves us so much that He made a way. A Way for us to be forgiven; A Way for us to know Him; a Way for us to give Him glory; a Way for us to share Him with others. Why does He want us to follow Him? Why does He want us to share Him with others? LOVE is the ‘Why’ behind the ‘What’! So…if you’re a Christian, and your faith and the focus of your life seems bland, uninspired, or apathetic, maybe it’s because you’ve lost your ‘Why’. Delve into God’s love for you more. Ask Him to help you Love Him more. Ask Him to help you Love others more. 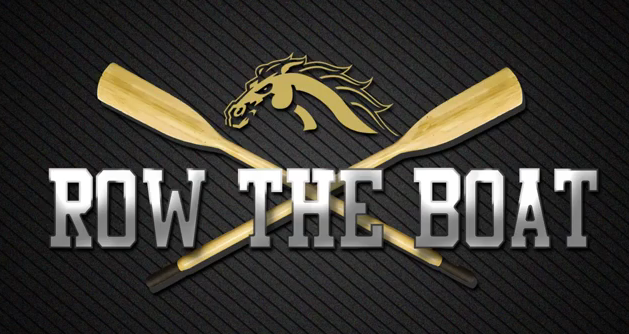 If you’re from Kalamazoo, or anywhere near western Michigan, or if you’re a WMU Bronco, or even if you watch ESPN and pay attention to national football news, you know that there’s something special going on with the WMU Broncos this year. WMU, under coach PJ Fleck, is 10-0 for the first time in school history. They are currently ranked 17th in the nation, according to AP, and 21st in the national college football playoff rankings. Pretty amazing, for a school that was 1-11 just a few years ago! PJ Fleck has come in and changed the culture. He is a fiery, inspiring Head Coach, and it is virtually impossible not to be motivated when you hear him speak. One of Fleck’s main motto’s is “Row The Boat”. It’s a reminder and rallying cry to keep pushing, be willing to sacrifice, and to surround yourself with ‘Elite’ people who are going to positive places. It is also shown with the hashtag, #RTB. When he first came in to Kalamazoo and started this, I admit (as a WMU Alumn) to making fun of it. After all…Broncos and Boats have nothing to do with each other! However, when I heard the story behind it, I corrected myself. It is a great ‘rallying cry’ for the team, and the community of Kalamazoo, as well as a great reminder to challenge ourselves to ‘go higher’. So, what’s this have to do with me? With you? With church or Faith? Well, some of you may know that a pretty big event happened this week in America when Donald Trump was elected as our next President of these United States. Honestly, for the first time in my life when the party I voted to won…I could not cheer. I am disheartened that these were our choices. However, that’s what they were, and we had to choose (I’ve written a lot about my feelings about this election–you can read past blogs if you’d like). However, here it is: We have had an election, and now we are in the ‘transition’ phase. One thing that has always set America apart as unique is our ‘peaceful transition of power’ from one President to another…often from one political party to another. I hope and pray that this particular ‘transition’ is peaceful. So, what are we to do now? I want to suggest–especially for Christ followers–that you and I need to Shine The Light! Even the Church in America has bought into this–much to our shame and detriment! Politicians–no matter who they are, or how ‘godly’ they’ve been, have never been our hope. America’s hope has been found in her people–especially those who are also ‘citizens of heaven’ by faith in Jesus Christ–loving others and putting others first. Unfortunately, today America largely rejects Jesus and the influence of the Church. This election is not going to change that. In other words, it won’t happen unless we start to “Shine The Light” of Jesus in tangible ways. It’s not ‘news’ to anyone that this election has not been hard to take…for many, the outcome is producing fear, anxiety, anger, etc. I don’t believe those feelings are warranted, but I understand them, based on what President-Elect Trump has said in the past. It’s time for all of us–red, yellow, black, white, brown, purple, chartreuse… ESPECIALLY those of us who call ourselves Christians…to come together and ‘Shine The Light’! I Cannot Vote for EITHER Candidate! I just can’t do it. I can’t support either of these two individuals. Both of them are SERIOUSLY flawed–personally and professionally–and I can’t stand the idea that either of them will be leading our nation for the next 4 years. I cannot personally align myself with a narcissistic, egotistical, self-centered, brute of a man, but nor can I align myself with a egotistical, conniving, disingenuous and at-least-incompetent, more-likely-criminal woman. I have seriously and prayerfully struggled with the concept of simply ‘not’ voting for anyone for President, rather than voting for an individual I cannot support. Yet, these are our two choices (and please don’t talk to me about any of these 3rd party candidates). First, I will pray…for my own wisdom, for the collective wisdom of the electorate in America, for the will of the Lord, and for each individual. I will pray for Donald and Hillary, that the Lord would show them their need for Himself, and that they would humble themselves and seek Him as they try to lead well. Second, I will consider who they surround themselves with. Who is the person who’s their Vice President? What is he like? Is there anything more positive about them than about the leader of the ticket? What do I know about their other advisers? Third, I will consider their party’s platform–what they (as a group) are declaring to be their priorities in policies, laws, etc. I will try to view all of these things as I try to view all of my life–from the perspective of my faith, based on the Word of God. None of these –people, parties, or platform–will be perfect…far from it. Secondly, when I consider who the candidates have surrounded themselves with, I think Mike Pence is a great guy. (I actually wrote him a letter 5 years ago urging him to run for President. I’m sure that letter had no impact on him–pretty sure he never saw it)…but I think he is a man I could willingly, enthusiastically support. 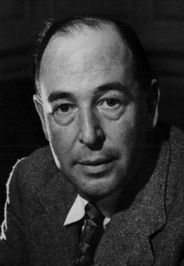 When I also think of others that are around Mr. Trump, advising him…Dr. Ben Carson, Newt Gingrich…I like these guys and this is a great positive. I pray that Mr. Trump, if elected, listens to these men. Thirdly, when I consider their party’s platform, I think of our Constitution. It was unique in history, laying out a system of laws and limitations on government, so that the American people would be free to ‘be the best they could be’. It is a unique document in history, and I believe it should continue to set the tone–including limiting government’s interference into our lives. I believe in the first Amendment–the right to Free Speech–especially with respect to the ‘free exercise’ clause for religious belief. “The government shall make no law respecting the establishment of religion–nor preventing the free exercise thereof”. I am convinced that this right– to believe, teach, preach and live by my faith–has been under constant assault, and that will increase in the near future if Hillary Clinton gets elected. When it comes to the 2nd Amendment, I do not own a gun (yet), but I am a supporter of the right to “keep and bear arms”. When it comes to moral issues–I support the right to life. I understand that things can get very difficult in some cases, and I understand that ‘the life of the mother’ is perhaps a valid exception, but the reality is that our society has allowed this to become far too commonplace, as a means of birth control…even to the point that some will defend the practice till the very end of the pregnancy–long past the ‘viability’ threshold. As a Christian, I simply cannot support this. When it comes to the Supreme Court, I believe that we need someone who will nominate ‘Originalists’–those who view the Constitution as a document to be held to–as opposed to ‘Activists’–those who view the Constitution as a ‘living document’ in need of change. For all these reasons, I–personally–have made the decision to vote Republican tomorrow. I do so with no amount of fanfare and celebration because of the man at the head of the ticket…but make no mistake: The ticket, the Party Platform, and the future of the Supreme Court causes me to make this decision. I do not assume that you will follow, just because it’s me saying this. In fact, you must not do that! You must pray, read, and consider that God would have you do. I will vote republican, trust God, and move forward in faith!